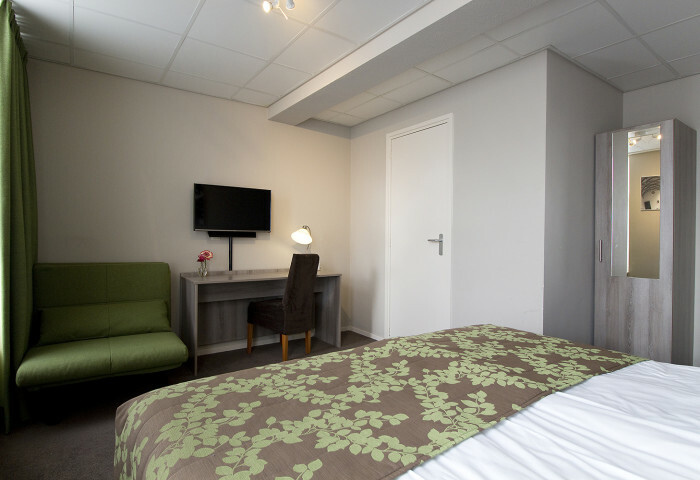 We are proud to announce that all our rooms have been completely refurbished in 2017! Carpet, curtains, furniture and everything in between has been replaced with modern comfort and by using LED t.v.’s and ambiance lighting we contribute to renewable energy. 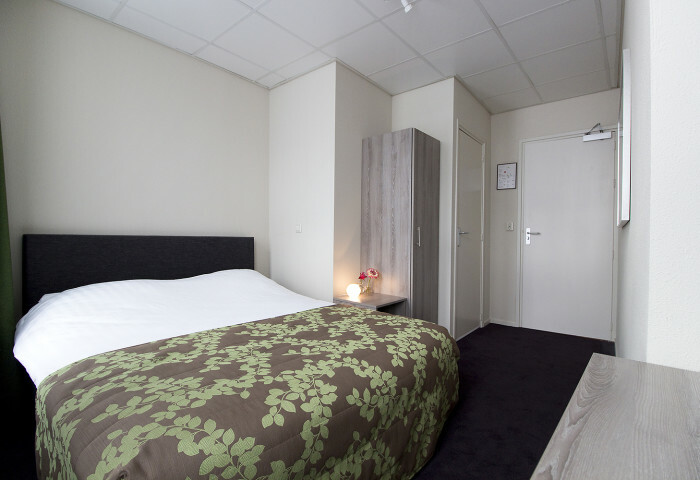 When entering our rooms you can “smell” it’s freshness and we’ll guarantee you will feel relaxed and “at home” due to the usage of warm and cozy colors. Meanwhile it turned out that our guests re-experience the “home, away from home” –feeling. Also the bathrooms had their makeovers and are up-to-date, equipped with a rich package of shower-, shampoo- and lotion sets. 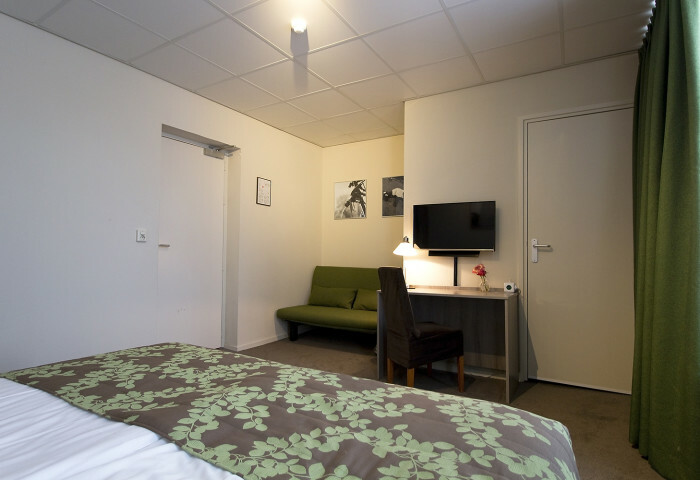 The hotel features thirteen dressy decorated and smoke-free rooms; all equipped with desk, shower, toilet, flat screen t.v. etc. . If you prefer a room on the first- or second floor, please let us know along with your reservation. Need internet? Fast WIFI (60Mb/s) is FREE and available for all our guests throughout the hotel! Care for a cup of real Nespresso coffee or tea? Please feel free to have one on the house at our cozy breakfast/guest room and enjoy the view of the historical buildings (1883) in the Stationsstraat. Check in from 15:00 p.m. until 22:00 p.m. , the room will be yours until 10:30 a.m. on day of check-out. Prices are 9% VAT incl. and excl. tourist tax of € 2,00 per person per night. All rates include usage of our varied Breakfast Buffet.